Wildflowers were plentiful and colorful on this cool late March evening in New Berlin, Texas. Thanks to the kindness of some local land owners, I was invited to photograph this field inside the barbed-wire fence. 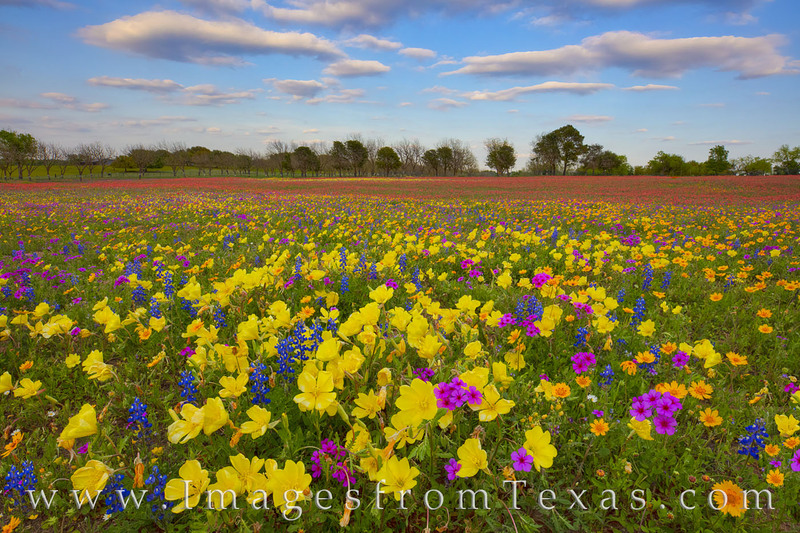 Missouri Primrose (yellow buttercups), Indian paintbrush, groundsel, phlox, and even some bluebonnets were just some of the many flowers that created this amazing palette of vibrant Texas color. I’d photographed this area years earlier, but I think this year offered more color and variety than in years’ past. Photo © copyright by Rob Greebon.